You can read more about this in my Affiliate Policy. Hot on the heels of the LOL Surprise Bigger Surprise comes the LOL Surprise Bubbly Surprise! It’s very similar to the LOL Surprise Pearl surprise in that it’s a little smaller than the LOL Surprise Big and Bigger Surprise sets. What is the LOL Surprise Bubbly Surprise? The LOL Surprise Bubble Surprise comes in two styles – the Bubble Surprise and the Fizzy Surprise. The Bubbly Surprise is a pink colour whilst the Fizzy Surprise is a golden colour (It actually reminded me of a champagne colour – maybe that’s why it’s called Fizzy). Inside is an exclusive LOL doll and a LOL pet, as well as 6 additional surprises to unwrap. To find the LOL doll and LOL pet you have to dig through the sand inside the heart shaped container. It is priced at £29.99 – so a similar price to the LOL Pearl Surprise. Prices are correct as at time of posting. 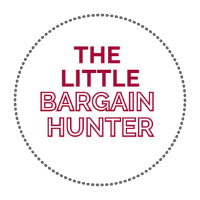 Retailers change their prices constantly so make sure to follow The Little Bargain Hunter on facebook to keep up to date with new bargains!